Hopefully, if you've learned anything from reading Who What Wear over the past few months, it's that we are absolutely in love with all of the 2018 fall shoe trends. Every style from cowboy boots to new-age sneakers has us ready for the official change of season. Now, I will admit to being kind of a lazy shopper when it comes to buying things for myself, which is why when I can find a store that has everything I need all in one confined place, I'm sold. In case you relate, I'm about to introduce you to a total game changer. Right now, the online shopping destination Need Supply Co. is selling every single cool fall shoe trend. While casually perusing, I found myself thinking What doesn't Need Supply have? The answer is nothing. Ahead, shop the five biggest fall shoe trends all found at Need Supply Co.. Animal print, neon, and geometric heels are included. Because sometimes, it's okay to admit that convenience plays a huge roll in where we shop and why. 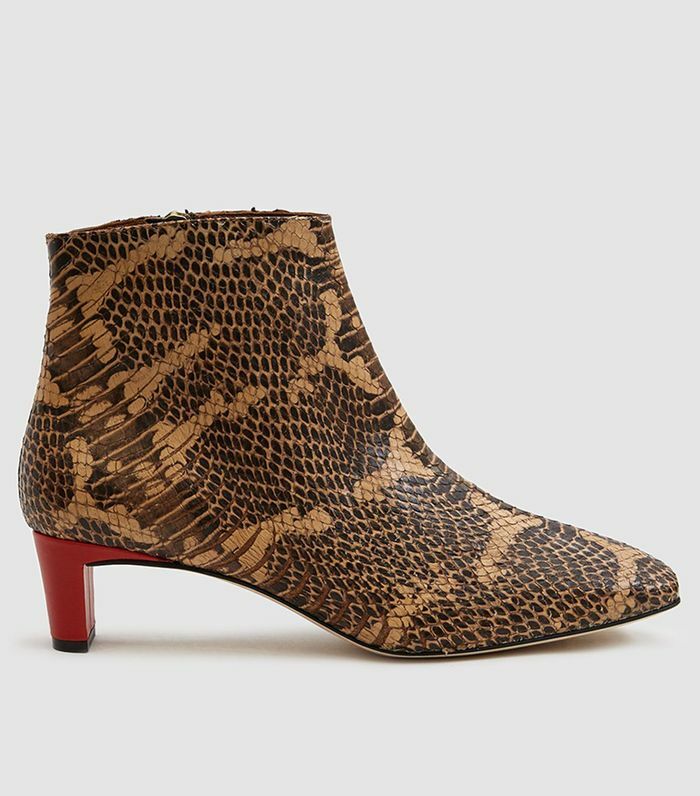 The pop of red on the heel makes these feel extremely forward. Inspired by 101 Dalmatians, obviously. In case your checkered Vans are a little worn down. It's called maximalism, and we'd all be wise to get on board. Now that's what we call a statement mule. Sock boots and a geometric heel all in one is fashion's version of a home run. Forget the DMs. Sliding into these will be much more rewarding. The future of office pumps is here, and it looks like this. The boot brand fashion girls love wearing. In case you really want to go for it. The result of mules and cowboy boots getting married. Why wear boring pumps when you can wear these instead? Bold sneakers with a floral midi dress are the outfit we'll be living in this fall. For those days when a little color is just what you need. Wear these with cool socks and throw yourself a cool foot party. Pretty sneakers coming your way. The dad sneakers of the future. Pretty sure these are from outer space. Next up, shop 20 pairs of Manolos that are somehow below $200.